Just recently, Bartow Ford handed out its 24th free vehicle for a deserving student through our Drive for Excellence program. The rationale behind this program is simple: motivate local students to strive for better grades while simultaneously giving back to the community. As the only car dealer in Lakeland, FL to devise such a program, we aim to prove to our community how we are different from the rest. Let us further explain how the program works and talk about our latest winner! To qualify, you must meet certain conditions. We only accept entries from Polk County high school juniors and seniors who have either, perfect attendance (worth three entries), A grades (3 entries), or B grades (1 entry). Florida public school, private school, and Florida Virtual School students may enter, but at this time homeschooled students cannot enter. The contestants must also have a valid license or permit to drive by the day of the giveaway and must provide their own insurance. Other rules apply; please see drive.bartowford.com for more details. Every contestant has his or her eyes on the grand prize, a new model year Mustang, fresh off the factory line! The winner will receive the vehicle for free, and his or her only cost will be taxes and registration. Thanks to our wonderful community sponsors, the rest of the qualifying contestants will also receive small prizes for their participation and efforts throughout the school year. 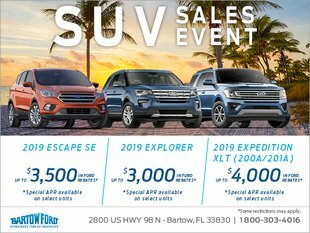 Bartow Ford wants all of our community to know that we truly make an effort to be different and stand apart from the other car dealers in Lakeland, FL. Through this initiative, we hope to inspire the local youth and encourage them to Drive for Excellence. 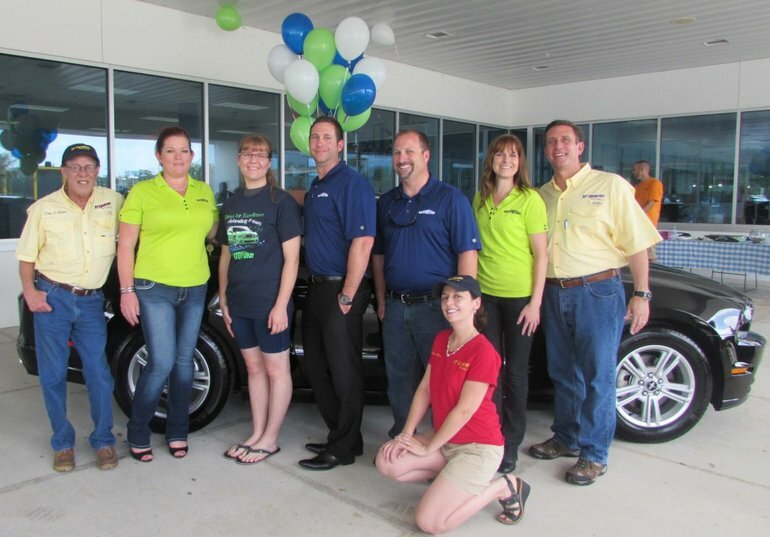 To learn more about this program and enter next year, get in touch with us at Bartow Ford!